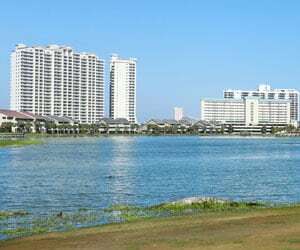 The area of Scenic Highway 98, also known as Scenic Gulf Drive, provides classic coastal living with scenic beach roads, surf shops, fabulous restaurants, beachfront homes and beachside condos with panoramic views of the Gulf. 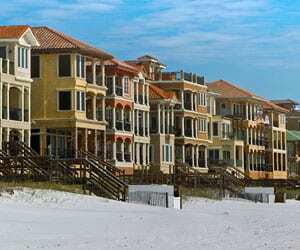 This beach community encompasses approximately five miles of beach providing a variety of luxury homes and condos in Destin and Miramar Beach, Florida. On the West end of Scenic Gulf Drive you’ll find Crystal Beach in Destin, and on the East end, Grand Dunes in Miramar Beach. Along Scenic Highway 98, you’ll find a variety of beach condominiums and townhomes, local beach shops and mouth-watering local seafood. 790 On The Gulf is a great seafood restaurant located on Scenic Gulf Drive inside the Inn at Crystal Beach. The Nathan Abbott Team recommends visiting 790 during your trip and trying the Cajun-accented seafood or Sunday brunch while sitting on the outdoor patio taking in the amazing Gulf views. At the end of Scenic Highway 98 in Miramar Beach is the nation’s largest designer outlet center, Silver Sands Premium Outlets. The outlet hosts an array of national retailers including Saks Fifth Avenue Off 5th, Banana Republic, Polo Ralph Lauren and more. Silver Sands restaurants include Carabba’s, Cheeseburger in Paradise, Panera Bread Company and local Ciao Bella’s Italian Restaurant. This mid-rise property in Crystal Beach features elegant 3-bedroom, 2-bath units with all the comforts of home including fully equipped kitchen, washer/dryer and whirlpool tubs. 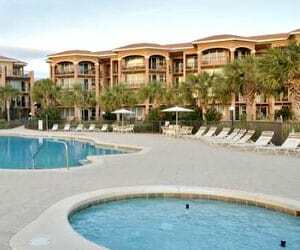 Crystal Dunes offers amenities such as a seasonally-heated pool, hot tub and beach boardwalk. 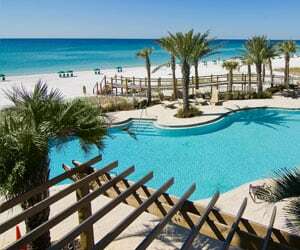 Emerald Dunes is a luxurious 6-story property in the Crystal Beach area of Destin and located near Henderson State Park. Emerald Dunes features spacious 3-bedroom, 2-bath units. Emerald Dunes amenities include a seasonally-heated pool, hot tub, beach boardwalk and complimentary beach equipment rentals. Located in the Crystal Beach area of Destin, Villa Coyaba offers an infinity-edge beachside pool, a modern fitness center and a grilling deck. The condominiums’ interior features are lavish and luxurious with gourmet kitchens and travertine floors. Crystal Sands East & West is an intimate, quiet property located directly on the beach and offering breathtaking views of the Gulf of Mexico from private balconies. 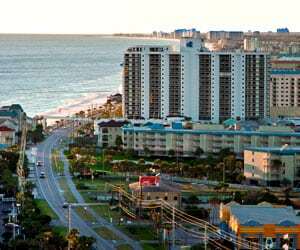 Consisting of two gulf-front, 3-story low-rise condominium buildings in Destin’s Crystal Beach area, all Crystal Sands units face the Gulf. Many of these amazing Destin vacation rentals have hall bunks, a whirlpool bath, washers/dryers and a fully-equipped kitchen. Special property amenities include complimentary beach equipment rental, a seasonally-heated pool, beach boardwalk and an outside shower. Delos at Frangista is a collection of Gulf front luxury townhomes. The duplex units are three stories and feature 5-bedrooms and 4-bathrooms, large Gulf front decks, large windows and luxurious kitchens. Destiny Shores is a collection of ultra luxury Gulf front homes in the Crystal Beach area of Destin. The multi-million dollar homes include luxurious features like personal elevators, gourmet kitchens, Gulf front decks and more. Destiny is a gated community with a collection of luxury homes and condominiums across from the beach. Community amenities feature a central community center, Club Destiny, pool, fitness center, tennis courts and playgrounds. Destiny by the Sea is a private Gulf-front gated community with luxury coastal homes featuring Mediterranean architecture. The neighborhood of just over 100 private homes includes a guard gated entrance, luxurious community pool, private beach access and boardwalks. Destiny by the Sea includes both Gulf front multi-million dollar homes and interior luxury homes. Avalon Beach Estates is a unique home development with 129 units and 534 feet of private beachfront. This is a special low-density community offers several family friendly amenities, including a 60-foot heated swimming pool, shuffle board, and two tennis courts. If you want to invest in a property along Scenic Gulf Drive, the Nathan Abbott Team is here to guide the way. Contact our Buyer Specialists at 850-812-3261 to schedule a consultation.